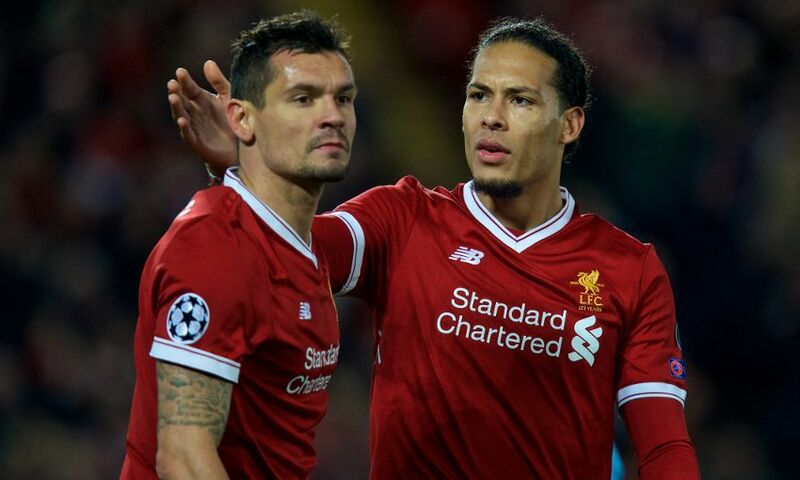 Dejan Lovren is better placed than most to evaluate the impact Virgil van Dijk has made since arriving at Liverpool, describing it as ‘quite exceptional’. The Netherlands captain has proved a commanding presence in the heart of defence since completing a transfer from Southampton on January 1. He has notched up 14 appearances, and in the Reds' last 10 outings in all competitions, Van Dijk has been partnered by Lovren at centre-back – most recently on Tuesday evening when they helped weather a first-half storm at Manchester City, providing the basis for the 2-1 Champions League win. The duo were saluted for their steely contribution in helping Liverpool progress to the last four of the competition; however, Lovren is convinced their link-up can be further elevated. The No.6 told Liverpoolfc.com: “It’s a beginning and I still have the confidence we can do it even better. “In such a short time for him, it’s quite exceptional that he adapted to our style so quickly. It’s always difficult to play in a big club like Liverpool, people have massive expectations. “But we are his teammates, we give him the biggest support we can give, and we are proud we have his quality in our team because it helps the team. I am even more confident next season we can be much, much better. “When you have the quality – and you add more quality – in your teammates, then it helps you as a player and as a team. I feel we can do better, it’s just the beginning. While Lovren and Van Dijk provide experienced heads in the centre of the backline, on either side of them Liverpool have profited from the exuberance of youth in the full-back berths. Like their more senior colleagues, Trent Alexander-Arnold and Andy Robertson played a fundamental role in Liverpool’s 5-1 aggregate success over City. “You need to have the young blood in your team – it gives you something refreshing,” Lovren said. Liverpool’s victory at the Etihad was cause for much celebration, and was followed by the club’s victorious players and staff joining supporters in scenes of joy after the full-time whistle. "It’s a brilliant moment and everyone should enjoy it," Lovren said, before noting that more challenges lay ahead. “We were brave, we showed we can deal with the pressure and that we’ve learned from our earlier mistakes in the Champions League, such as against Sevilla. Lovren continued: “The club is so big because of this great history and it’s achievements in Europe and domestically. When you ask even in 100 years, ‘Which games are so special?’ people will remember Liverpool and some games because they played some of the best games, the last-minute goals… it’s Liverpool.